One year ago today, I wrote my first blog post. I actually found some typos and some really odd wording, I couldn't resist the urge to edit some of that but I mainly left it as it was, in all it's cheesy glory. I noticed my style has changed a bit over this year. I'm not going to go on about my stats or highlight any posts, instead I thought I'd reflect on the past year briefly. I've made some really great friends, that in itself is the best thing about blogging, to me. I've learned some MMO bloggers are not too friendly and others are wonderful people you never expected to stumble across. So within my first year I've moved the site, shortened the name a bit and decided to get a domain name for it. 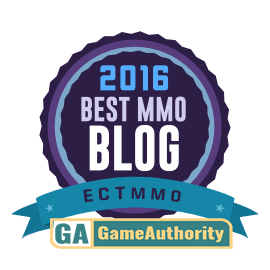 I never was into blogging but I did follow several MMO blogs. 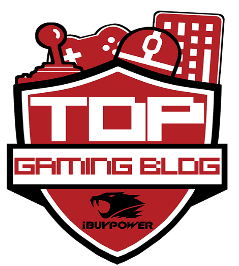 I loved reading others thoughts on MMO games and following their adventures. I decided, after a few years, to start my own. Hey, I actually stuck with it!! ECTMMO, what does it stand for? Well, Everquest has always held a special place in my heart and the greatest meeting spot, in my opinion, was the East Commonlands Tunnel- EC Tunnel. It was a great place to hang around and talk to friends, sell or buy items or maybe grab some buffs. When I decided to get my own domain name I decided to go for something shorter but not veer too far off from my initial name. At one point I had ads on my site, it was just a big waste of time, gold selling ads popped up too much for my taste. I decided to only write for my own enjoyment. My site has gone through several different looks and finally I tailored it to something I'm happy with as I wanted something unique. I think the biggest lesson I have learned has been to always write about what I feel like. When you don't write what you feel the passion dies. I may never have a massive reader base but it's steady still. That makes me happy, someone out there likes my rambles! As far as games go I think I've never been as nomadic as I am now! I play what is fun and I also try to balance things between friends. In today's MMO games good and true friends are diamonds in the rough, treasure them! I've met many awesome people and reunited with old friends this past year. It's been a good year! I have a wider outlook, I like to hear other peoples opinions, I try to take things in my stride and not rant as much as I feel like sometimes! I did go through a period where I was discouraged, I'm very glad I stuck with it and didn't throw in the towel. Sometimes people think I am a guy by my name, I suppose it could be seen that way. I'm chaotic in my playing style and thought it a suiting name, one I've used for years though. However I'm not at all male! So, thank you for taking the time to read, to comment, it makes my day when someone takes the time to! I hope to share many more ideas, adventures and even... rants in the next year! Congrats on hitting the one year mark, I enjoy your rambles (grins) even if I'm not actively playing too many games these days. Naturally, I don't consider your writing, "rambles". Thanks for letting us know how you came up with your name. When it comes to gaming, it's important to do what you enjoy, otherwise, you could end up getting burned out. It's great that you are mixing it up. There are ways you can get around seeing most of the WOW gold ads featured on your site, if you want to use Google adsense, it does require adding things manually from your Google Adsense account. I haven't put any adsense on Celebrate Life, however I've added it to a few of my older sites, I only used one or two adds on the site, since I don't like seeing it overdone. They along with other forms of montization can be quite lucrative. WordPress has Plugins that will block adds, and only show them for visitors that are coming from search engines. I'm not sure if Blogger has that. Of course it comes down to more than placing adds, to get the response but it can be worth it. Did you create the picture above, I really like it! Yes, I do try to keep it light and fun these days. If you get too serious things start not to feel like a hobby! I did try Adsence and had trouble with it, eventually they closed it out. It was said I was suspected of this or that right before my first payment. I have heard of it happening to others too. I won't ever try to use it again after the trouble. I didn't create the picture I found it on deviant art. I was looking for something reflective showing the good and bad and it seemed fitting! I really like it too. I always enjoy your writing as well, you have so many great ideas! Hope to have you around for another year at the very least! You know I'd written you a while ago, but just noticed it's in my spam folder, got bounced back for some reason. I'll have to update and resend. I have an upcoming project coming up towards the end of the yea. You’re amazing, and so is your art so I thought about you. Once I update the mail look for it later today/or early tomorrow, heh. @Opal- Ahh I was wondering if you had gotten my last email hehe. I figured you were just busy! Congrats on one year! It must be fun looking back and seeing how your writing and your interests have involved! I actually stuck with it much longer than I thought I might. I had hoped to but you just never know. I rather like Adsense, though it works better for a website where I can use meta details to tell it what kind of ads to display. On my blog, since I write about such varied topics, I sometimes have a rather odd combination of ads. I suppose it did vary from server to server. I was on Lanys for years. I mostly play on FV these days.